Vibrant Media Productions focuses on creating customized, client-centric media that delivers ROI-driven results. Our goal is simple: To craft compelling visual content that will attract, inform, and entertain your audience while simultaneously growing your brand. “Vibrant was quick, flexible, and willing to work in a fast-paced environment. 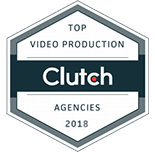 We first started working with them in Orlando at a conference and have now flown them all over the world to capture video content in Germany, Austin, Las Vegas, and California. 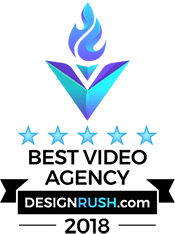 “I first found Vibrant merely by a search on Google as we were struggling to find a consistent, talented, and professional video company to go hand in hand with. We were blown away with how all their hard work has turned out. “Professional, fast, high quality, and flexible would best describe Vibrant Media’s work. Whether a large project or a small one, they throw the maximum amount of effort into it and produce the best high quality content. 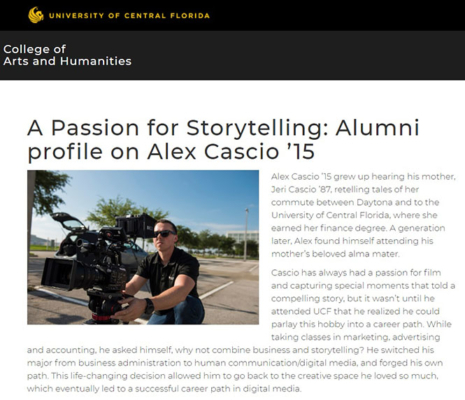 “From the very first conversation with Alex all the way through the final editing process, our firm has been nothing but impressed with Vibrant Media Productions and their commitment to excellence. 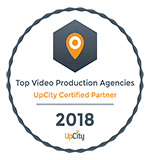 “I worked with Vibrant Media Productions recently and I have to say, not only did they meet my expectations, they truly exceeded them. The principals are professionals, easy to work with and talk to…and are highly creative in their suggestions to their clients. I’ve worked with many companies that offer the same services as VMP, but never a company that was as thorough, detail oriented and timely as they were. Jeremy CabalonaCreator Development Strategist at Twitterhttps://www.linkedin.com/in/jeremycabalona – Twitter, Inc.
Monica PepicelliSenior Marketing Directorwww.blueprism.com – Blue Prism, Ltd.
Headquartered in Orlando, Florida, our fully licensed team of professional videographers and photographers are fully equipped and ready to travel to you. We work closely with our clients to make sure that all of our projects reflect their unique voice. That’s how we generate impactful and measurable results for your business. With professionally produced media in your arsenal, your business will greatly benefit from increased brand recognition and retention, improved search engine results, and a highly positive public perception. Why Choose Vibrant Media Productions? From our first meeting, through completion of the project, we fully collaborate with you as a creative partner. This means that your voice will not be lost throughout the process. The message you want your video to send will truly captivate your audience. Our dedication to our work has helped us build strong and lasting relationships with our clients. Many of them have honored us with their gracious detailed reviews. Check them out here. We’ve worked with an incredibly diverse group of clients over the years. The experience we’ve gained will help us craft your project to fit your unique needs. Nothing matters more to us than your satisfaction. We are available 24 hours a day, seven days a week to assist with any issue you may have. In any marketplace, there will be those who focus on cost. Vibrant Media Productions prefers to focus on value. Others may offer a lower price, but none will match our commitment to producing truly dynamic, professional media. Every dollar you spend will be evident in the final product. Technology is always rapidly improving. We make sure that both our hardware and software is cutting-edge so that the content we produce for you is top-of-the-line. Project Details, Date(s), Budget, etc. Your business is unique. Whether your ideas are concrete or still conceptual, we will work with you to make sure that the end product is exactly what you want.